On the 14th November 1930 Shirley Crabtree was born, the first of three brothers who ultimately would all become involved in the world of professional wrestling. On leaving school Shirley Crabtree was initially employed in the textile industry in his hometown of Halifax then as a lifeguard and a rugby league player for Bradford Northern before doing his national service with the Coldstream Guards. Crabtree trained at the local gymnasium where he met legendary promoter Norman Morrell and was introduced into the world of professional wrestling. During this period (1950s) wrestling was mainly a seasonal sport operating from September through to May when a large contingent of wrestlers then left for Europe, Crabtree included. 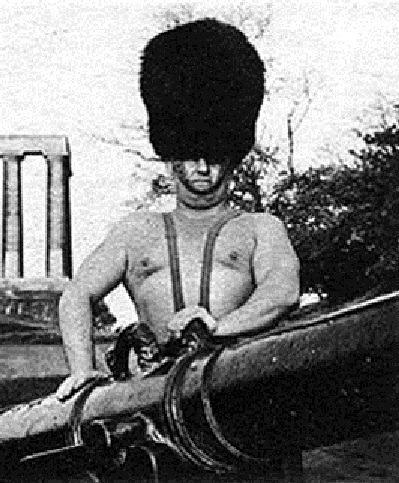 After returning from National Service Crabtree ventured more into Europe wrestling under the name of the Blond Adonis and later the Battling Guardsman. During this time he had successful tours in Hamburg, West Berlin and various venues in France. His biggest achievement came in the late 1950s when appearing at the Palais des Sport in Paris he took on the much more experienced European Heavyweight Champion Ivar Martinsen of Denmark beating the Dane and claiming the European Heavyweight Championship and belt. Back in the UK Crabtree was to win the BWF British Heavyweight Title and Belt by defeating Mighty Strangler Bright, this was some accomplishment as Bright had defeated the great Bert Assirati. 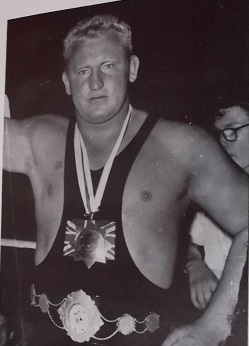 Crabtree continued to wrestle in England and Europe during the 1960s but by 1966 became a part time wrestler having only a handful of bouts between this time and the birth of Big Daddy. In the mid 1970s wrestling was changing and Max Crabtree, who by this time had retired from the ring and was building a name for himself as a promoter, decided to bring Shirley back into the wrestling business on a full time basis and re-christened him as Big Daddy. Initially Daddy had a number of solo bouts and a feud with the masked Kendo Nagasaki who he famously unmasked in a televised match. It was the arrival at Joint Promotions of Giant Haystacks that would change Big Daddys wrestling career yet again. 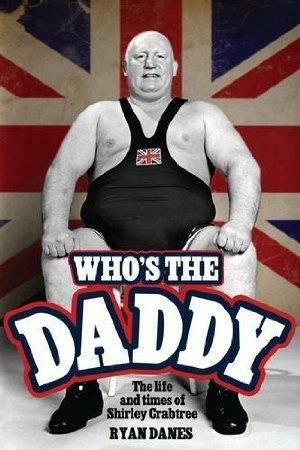 Daddy was teamed up with Giant Haystacks to form a tag team weighing in excess of 50 stone. This team was successful and had a number of televised matches. It wasnt until 1977 that this tag team had run its course and a brainwave by Max Crabtree to split the team up created one of the biggest rivalries in British wrestling history. This rivalry lasted from 1977 until Big Daddys retirement in 1993. Unlike the days of Shirley Crabtree, Big Daddy was now an ageing man and solo bouts were fast becoming a thing of the past with the majority of his matches being in tag team action. Big Daddy teamed with such great stars of the day as World Heavyweight Champion Wayne Bridges, British and former World Champion Tony St Clair and World Mid Heavyweight Champion Marty Jones as well as young up and coming stars as Dynamite Kid, Roy/Steve/Wiliam Regal, Young David, Danny Boy Collins to name but a few. 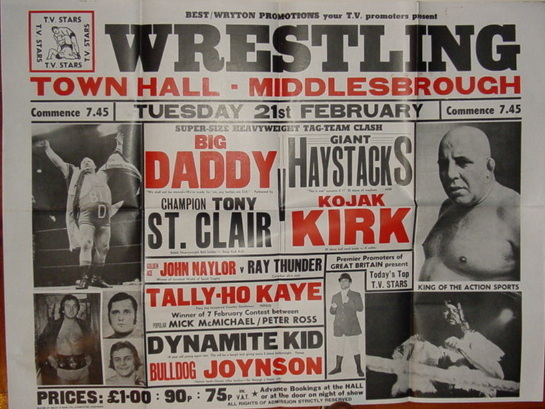 Daddys opponents were also few and far between with him mainly facing the likes of Giant Haystacks, King Kong Kirk, Scrubber Daly, and the man who wrestled Daddy more than any other wrestler Tony Banger Walsh. During the late 1970s and early 1980s wrestling saw a surge in popularity and a lot of this was down to Big Daddy. Daddys appearances at halls would inevitbaly be a sell out and he became one of the most recognised and well known faces in Britain. Even many years after his death his name is normally the first one mentioned when the glory years of British Wrestling are mentioned. 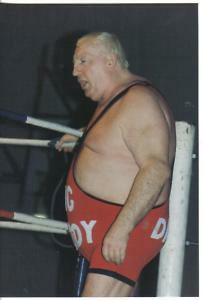 Such was Big Daddys popularity during the 1980s that he was in high demand and appeared on childrens shows such as Tiswas and Magpie, did an advert for Daddies Sauce and prime time shows such as Whats My Line and was the subject of This is Your Life (only the second wrestler ever to receive this honour). Big Daddy also released his own recording of We Shall Not Be Moved which was played every time he went to the ring, had two annuals published in 1983 and 1984 and had his own comic strip in Buster comic. Big Daddy was also in high demand for charity work and made many appearances for various charities. During the Big Daddy years he appeared many times at the Royal Albert Hall and on the also highly rated Cup Final Day wrestling programme. 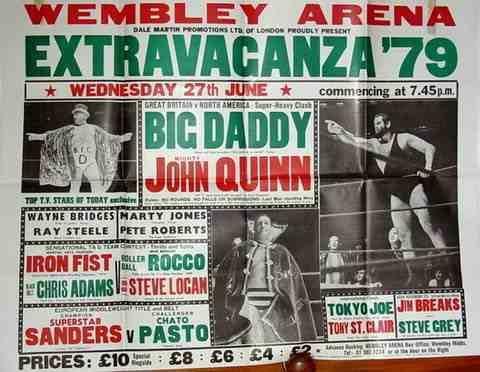 Big Daddys most famous matches were infact solo matches against Canadian John Quinn at the Wembley Arena in 1979 (when it was estimated that 10,000 fans were in attendance) and against his arch rival Giant Haystacks in 1981. Daddy won both matches in record time, the build ups to these matches being far more impressive than the matches themselves. 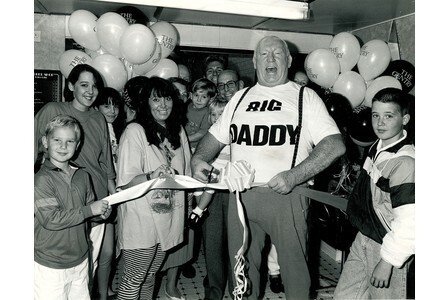 After itv axed professional wrestling in 1988 Big Daddy continued to tour the halls of Britain making over 200 appearances a year right up to his retirement aged 63 in 1993. Daddy was plagued by ill health towards the end of his career suffering from Bells Palsy and whilst many thought that he should have retired at this point he was given the all clear to wrestle by his doctor and continued for many more years. Big Daddy retired from wrestling in 1993 and lived out the remaining years of his life quietly in his hometown of Halifax. Unfortunately the glitz and glamour of Big Daddy had long gone and he was again dogged by ill health. 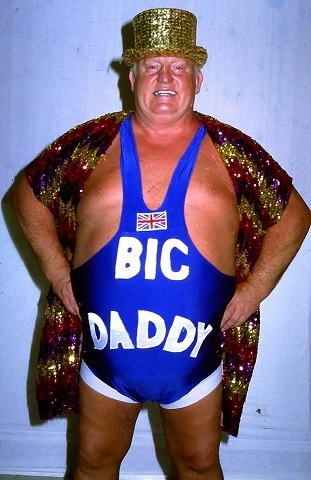 In 1997 Big Daddy suffered a major stroke and although he battled this for 8 weeks this was one battle he was not going to win and he died on the 2nd December 1997 aged 67. The wrestling world have always been divided over Big Daddy and what he did for the wrestling business, Whatever peoples opinion though Big Daddy will always be remembered as one of the biggest names in British Wrestling History and his name and legacy will live on forever more. Who's the Daddy, a book on the life and times of Shirley Crabtree written by Ryan Danes is available for purchase via our Amazon link or on our own webstore. 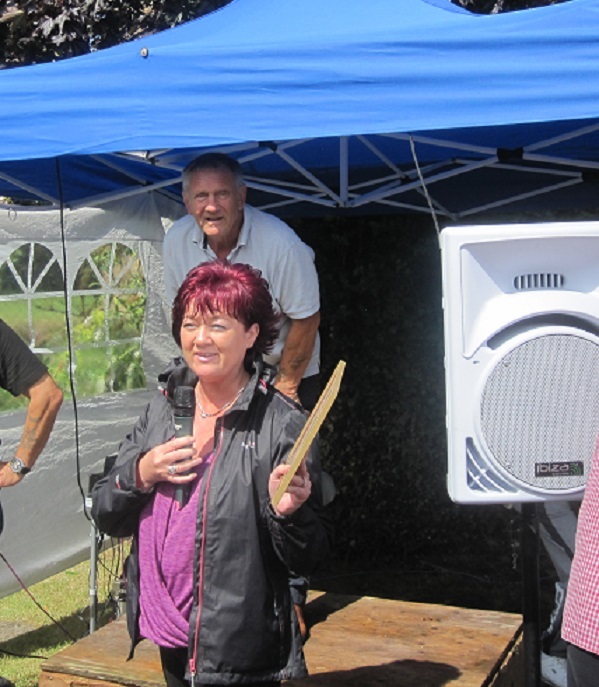 In 2014 at the annual Reunion Big Daddy was awarded a Posthumous Lifetime Achievement Award for his distinguished wrestling career and this was accepted by his daughter Jane Wade.